My treadmill viewing this summer has included a string of movies that I felt like had given me a very warped view of history by the end of it — The Queen, Nixon/Frost, W., and Kingdom of Heaven — but also The Prisoner. The Blu-Ray set was on sale on Amazon very briefly for something like $40 (marked waaaaaaay down from something like $120), and I snapped it up. I had seen all of the key episodes a number of times — “Arrival”, “The Chimes of Big Ben”, “Free for All”, “Fall Out”, and “Once Upon a Time” — but had never caught the whole thing, so I started working my way through all seventeen. At the end of “Do Not Forsake Me, Oh My Darling”, in which Number Six curiously looks like an older, fatter actor in close-ups but like Patrick McGoohan in long shots, as opposed to the rest of the series where he looks like Patrick McGoohan in closeups and a younger, trimmer actor in long shots, I noticed something out of the corner of my eye during the credits — an actor named John Nolan credited as “Young Guest”. 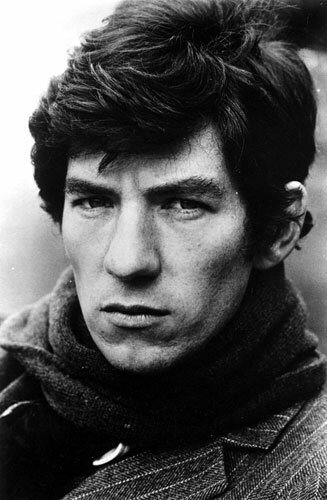 there are people who think that John Hurt looks a lot like Ian McKellen, and I don’t think that John Nolan looks anything like Ian McKellen. Maybe John Nolan looks more like John Hurt than John Hurt does. 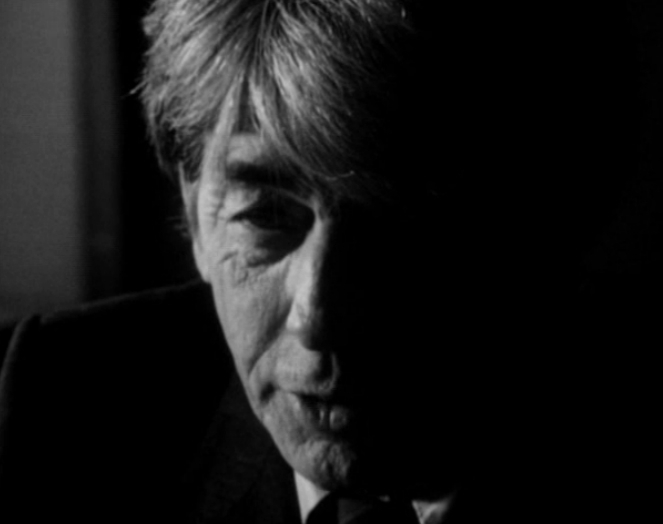 Anyway, I skipped back to the party scene that presumably included the Young Guest, and sure enough, it was pretty unmistakably the same guy, just a few decades younger (and still looking a LOT like John Hurt and with maybe a teensy bit more of a resemblance to Ian McKellen). My point with all of this is to establish that there’s actually a personal connection between Christopher Nolan and The Prisoner at a familial level, not just a professional level. He said back in 2006 that The Prisoner had been an interest of his for a long time, and perhaps that actually had more weight than was apparent at the time. Maybe someday we’ll get Christopher Nolan’s take on The Prisoner, but at the very least I think it’s interesting to consider the possibility that, with or without it, many of the series’ ideas have taken root in his head and have a visible influence — and as far as I’m concerned, that’s a great thing.